App developers and mobile companies are looking for faster deployment times, shorter development cycles, and considerably better app performance. This exceptional demand requires innovation in every aspect of the mobile app development. 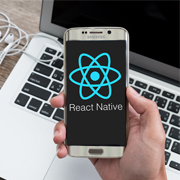 Today, several developers view React Native as a one-stop-solution to writing and deploying applications they see fit while speeding up the entire development process, as React Native apps do not have to be written separately for different mobile operating systems. This, therefore, also gives them better dividends than Native development. React Native allows developers to only focus on the view portion of their applications, writing small pieces of code which describe how the application should look based on user input, thereby saving them a considerable amount of time and resources. By designing simple views for each stage of the application, React will ensure that it renders and updates only those components which change with user input at that particular time. One of the main reasons behind the popularity of React Native and probably the first thing a developer will answer to your question about "Why choose React Native" is its Hot Reload capability. To keep it simple, hot reload ensures you can easily modify the applications' code without having to recompile the entire application from scratch. This simple task has major repercussions, as it saves a significant amount of time and money for the developers. Although development of native apps is nowadays considered inefficient and requires more development time, React Native is fast changing that notion. By bringing in some much-needed speed and mobility to the entire development lifecycle for native apps by introducing hybrid capabilities, React Native is fast becoming ubiquitous amongst the developer community. Improvements include better app performance due to ReactJS, DOM abstraction, and simplified & easy-to-code programming methods. Since the overall layout in React Native is completed with CSS-type stylesheets, you can easily modify components such as borders, margins, width, height, colors, fonts, etc. This in turn, ensures that all individual components in the flexbox can specify the exact layouts without you having to stress about compatibility with different browsers. React Native is a comprehensive framework consisting of CodePush and AppHub which ensure that updates are delivered to the customers instantly, on a regular basis. This is a far cry from delivering updates traditionally which can take anywhere from 24 hours to 3-4 days before being readily available on all customer devices. Since React Native supports third-party plugins out of the box, developers do not have to rely on WebView for certain parts and functions of the app. Most third-party plugins are added with the help of a native module, which in turn ensures that the app provides a seamless experience while using less memory and RAM. When it comes to developing native-like hybrid applications, there really are two main competitors in the market right now, React Native and Xamarin. The latter, which has now been acquired by Microsoft and is included with all versions of Visual Studio is developer's favorite as it allows them to develop apps for multiple platforms using C#. Developers often need to sift through the source code of a new platform such as React Native when the documentation does not answer all their queries. The code base of React Native, as per many developers, is a hodge-podge of good ideas placed improperly together. Also, many of the core components are still in a "work-in-progress" mode, making it even more difficult for new developers to get a hang of the framework. Even though there are a wide variety of 3rd party component libraries available for React Native, future compatibility is not guaranteed since React Native is still being heavily developed upon and modified. Whenever the native SDKs for both iOS and Android are updated, it takes time before support for the new APIs is integrated within React Native. Also, even though the React Native team does ensure that compatibility is bridged as soon as possible, the APIs which have the most requests get incorporated first. Will React Native Herald the End of Native Development? React Native has proven its usefulness when it comes to developing hybrid apps within a short span of time, especially if it is for apps developed for one-shot events such as conferences, concerts, meetings, etc. At the same time, many apps which need constant updates without having to trouble the user with frequent downloads also fit the target market for React. At the same time, this platform is still in its infancy and is being heavily developed upon. As a result, if you are looking for stability and maturity from your platform of choice, it's better to window shop elsewhere. In short, React Native is not yet ready for primetime, but with the pace of development that this platform is seeing, we won't have to wait long before everyone around us starts using it. At O2I, we have been at the forefront of mobile app development outsourcing for more than 20 years now. Whether it is Native app development, iOS app development, Xamarin App Development, or developing fast, future ready HTML5 apps, we have worked with clients across verticals helping them unlock the potential of a new user base. Contact us right away and learn more about how we can help you get your React strategy up and running, and learn more about what the apps of tomorrow will look like.